Indy Racing League IRL – Auto Amazing USA! Brand new item. Absolutely never used. IRL mug in mint condition. 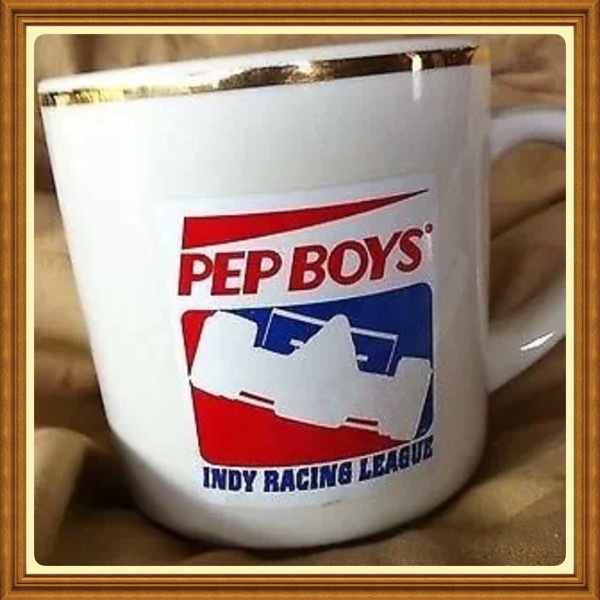 An IRL Pep Boys collectible issued when the IRL and CART teams were at odds in the mid to late 1990s when Tony Stewart brought the IRL to the Brickyard for the Indy 500. Enjoy a piece of racing nostalgia forevermore! 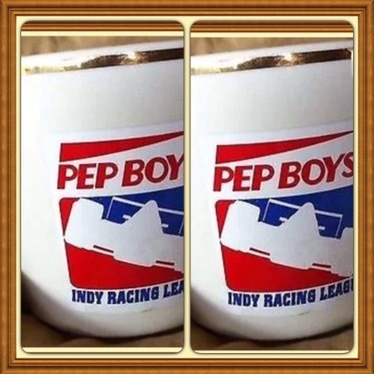 Official IRL Pep Boys Coffee Mug Set of Six (6) – A set of racing history for your kitchen, morning coffee or garage! Brand new items. Absolutely never used. Set of SIX IRL mugs in mint condition. These are IRL collectibles issued when the IRL and CART teams were at odds in the mid to late 1990s when Tony Stewart brought the IRL to the Brickyard for the Indy 500. They’ve been held in storage for safekeeping. Now it’s your time to enjoy a piece of racing nostalgia forevermore! This is a Great Set of Collectible Mugs.